Words can hardly express how much I love the production design of Grimm and Finch's mostly-plaid wardrobe in Person of Interest. Grimm, for all that it's been slow to find its feet, has been beautifully designed from the outset. Here's a screenshot from this week's episode. 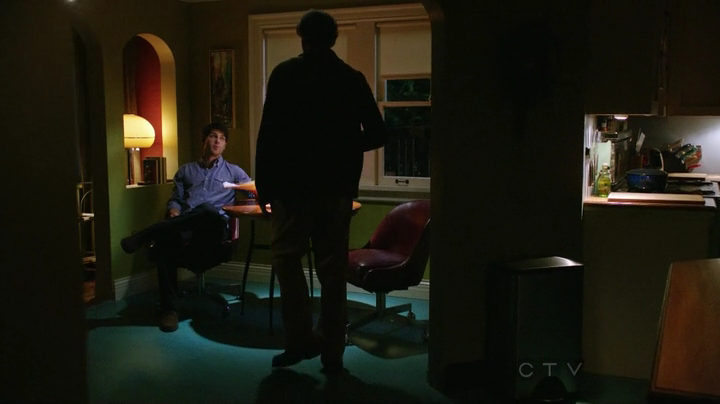 The whole ep featured these same saturated red and turquoise tones, and it was so gorgeous that it almost overshadowed the much-improved plot line by Amy Berg. 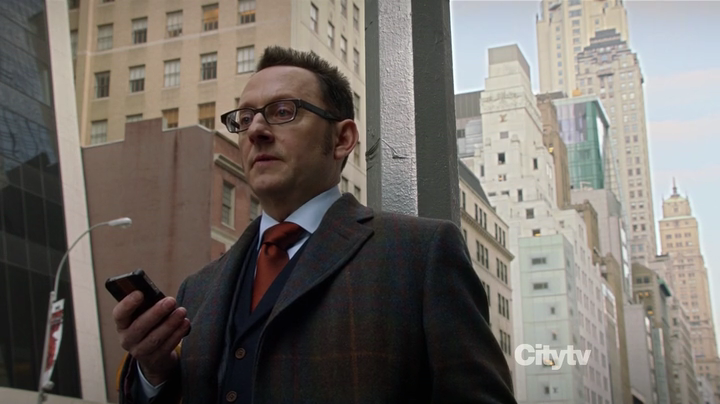 And Finch's overcoat was so beautiful that I couldn't take my eyes off it in this week's Person of Interest. It played a role in the plot and everything! I worried about that coat when he took it off, and I was delighted to see that he was still wearing it in the last scene. I hope it makes another guest appearance!